We all love to spend Saturdays lounging around or binge watching our favorite Netflix shows, but why not get up and do something fun and crazy? The Rugged Maniac 5K race is coming to Oklahoma City and it will be an event to remember. 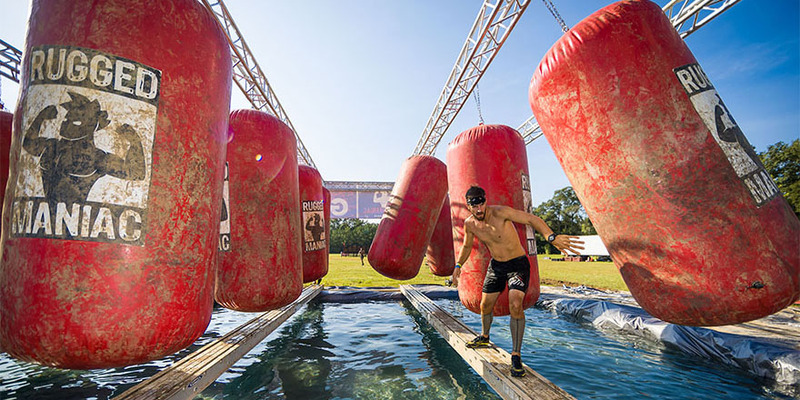 The Rugged Maniac is an event designed for tough, athletic individuals who are able to complete 3.2 miles while also diving and jumping through muddy obstacles. The race will be held on April 29 at the Wake Zone Cable Park located at 3501 NE 10th St. Oklahoma City, OK 73117. The check-in tent opens at 9 a.m. and all runners should be there at least one hour before their scheduled time to ensure waivers are signed. There will be many start times throughout the day, but the only run that will be timed for prizes will be held at 9:45 a.m.. The event will go until 5 p.m. followed by an after party at Whiskey Chicks restaurant downtown. The cost of this event is $79 plus tax as of now but will increase by $10 on March 30. You will also need to bring $10 for parking. All military and students will receive $10 off and spectators are welcome to watch free of charge. All registered runners will receive a cotton T-shirt, a race medal, and free photos. Other fun events will be held throughout the day for spectators or runners to enjoy. Other activities will include multiple pull-up contests, a fried okra eating contest and a pie eating contest. More information on the race and what to expect can be found on ruggedmaniac.com.